Disguising fine lines and dark circles is easy with the Salmon Oil Nutrition Eye Cream from EyeNLip. The skin under our eyes is extremely delicate so it’s hardly surprising that signs of ageing occur here first. How do we tackle dark circles, eye wrinkles and dehydrated skin under the eyes? Giving up Netflix marathons might help but if you’re like me and can’t kick such an addiction, you’ll be looking for a good eye cream to hydrate under the eyes. 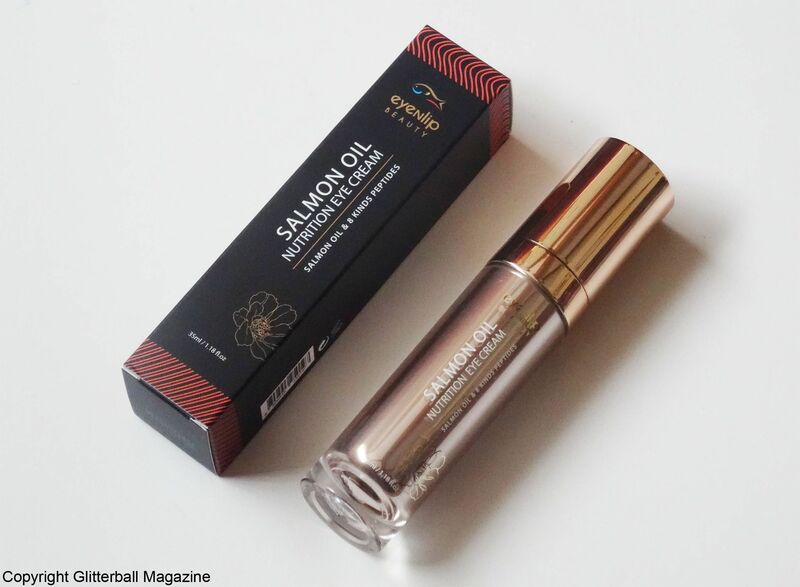 The Salmon Oil Nutrition Eye Cream from EyeNLip is so much more than beautiful packaging (rose gold detailing… OMG!). It has a lovely perfumed scent and contains a fantastic selection of ingredients. 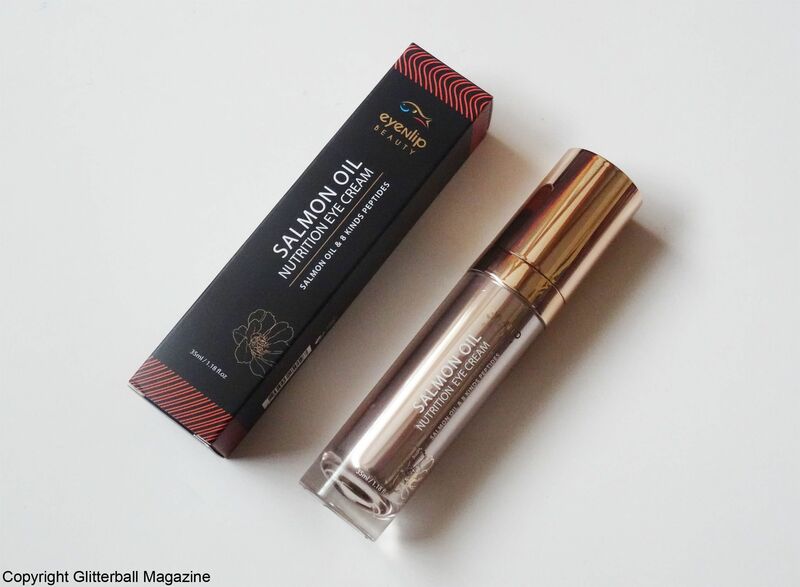 Known for its anti-inflammatory properties, salmon oil is high in vitamins A and E. Vitamin A helps minimise dark circles and targets lines under the eyes by enhancing collagen production. Vitamin E is a useful ingredient to moisturise skin. 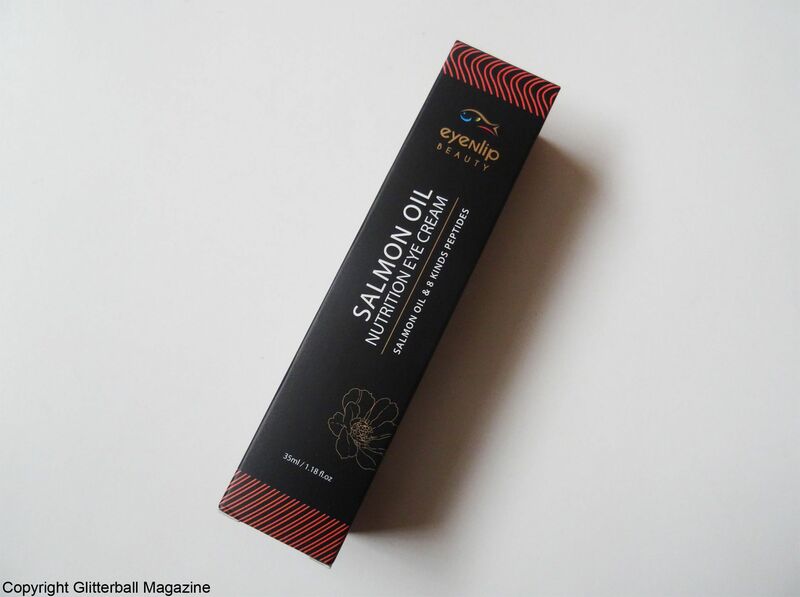 Salmon oil is also rich in astaxanthin, an antioxidant that increases collagen levels and prevents moisture loss. Astaxanthin also protects skin from harmful UV rays. As I previously mentioned, the skin around our eyes is extremely thin so it’s vital to protect it from sun exposure. Guys, please also remember to wear sun scream and be safe in the sun! Niacinamide helps brighten the skin under the eyes and disguises dark circles. Argan kernel oil fights signs of ageing such as fine lines and wrinkles. Adenosine provides additional anti-wrinkle benefits to boost skin. Argan kernel oil and adenosine are also both known to increase moisture levels. Goodbye parched skin! 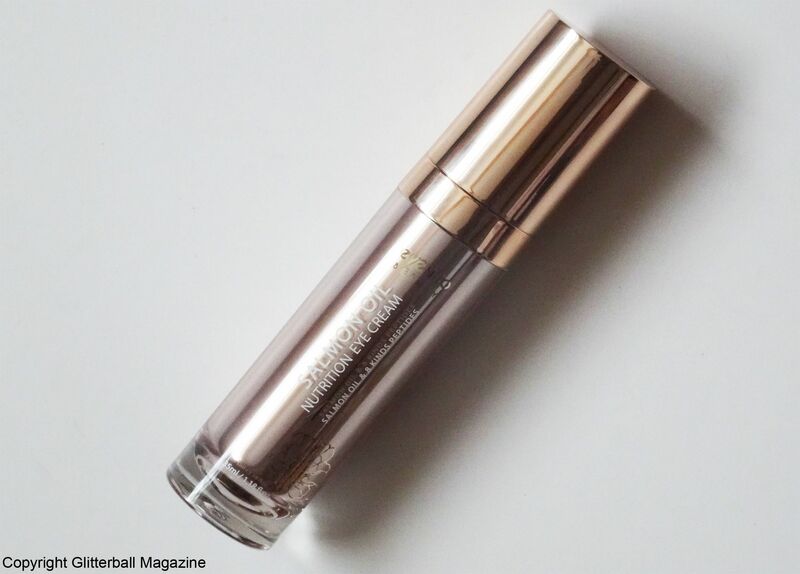 What really makes this eye cream special is the impressive combination of peptides, known to encourage a healthy glow. 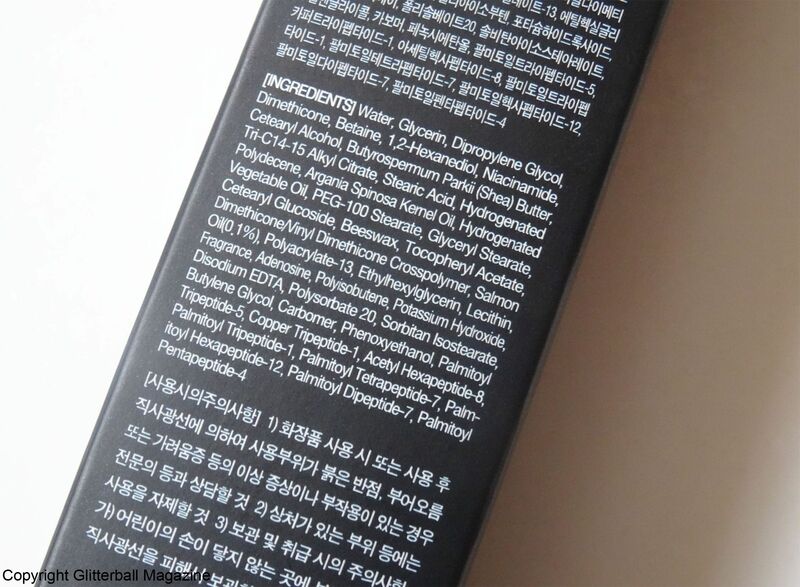 Palmitoyl tripeptide-1, palmitoyl tripeptide-5 and acetyl hexapeptide-8 target lines and improve skin elasticity. Copper tripeptide-1 boosts collagen to leave skin looking and feeling firmer and acetyl hexapeptide-8 tightens skin. Handy if you squint or smile a lot. I love how quickly this eye cream absorbs into my skin. It doesn’t feel greasy or sticky so I’m able to continue with the rest of my skin care routine after a few seconds. Because the texture is lightweight, this eye cream isn’t heavy on my skin and it doesn’t cause my foundation or concealer to pill. The skin under my eyes looks and feels instantly hydrated and looks much plumper. 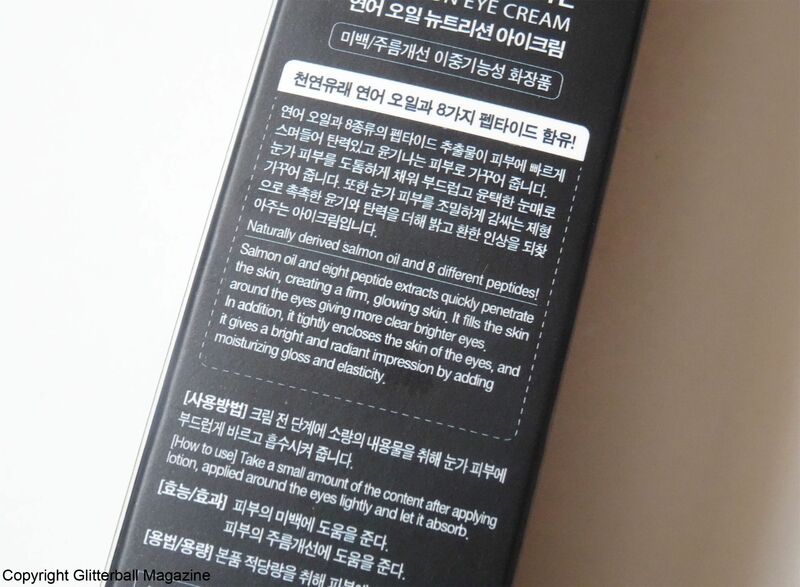 It’s a blessing that dryness is reduced with this eye cream. Hallelujah! I’m sure I’m not the only one who is glued to their smartphone but considering this digital addiction can enhance dark circles, crow’s feet and fine lines, I feel a little better knowing I have a wonderful eye cream to target said issues. It’s such a pleasure to use. Find out what else I use in my eye routine and discover my review of the EyeNLip Salmon Oil Nutrition Eye Patches.